Teams 4-6 €10 per Head . 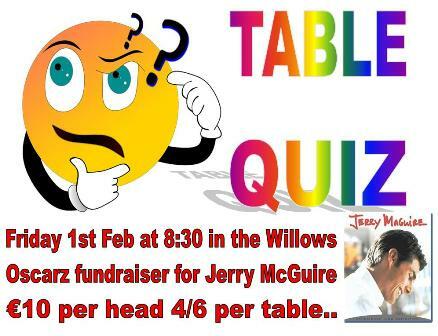 Proceeds towards Jerry-Maguire Oscarz Fund  all for Walterstown GFC schools programme. Great night promised.